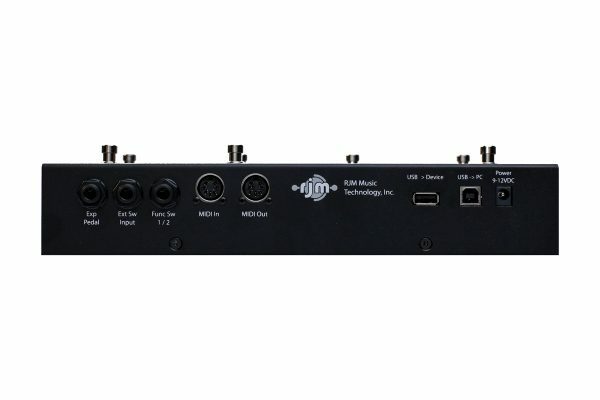 Mastermind LT MIDI Foot Controller | RJM Music Technology, Inc. Mastermind power at a more affordable price! For years now, our Mastermind GT MIDI foot controller has set the standard for professional MIDI foot controllers, and it’s being used by musicians around the world. 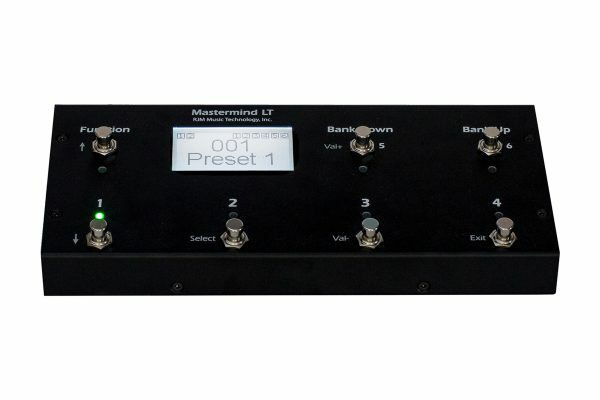 The Mastermind LT MIDI foot controller has all of the MIDI capabilities and vast configurability of the Mastermind GT in a smaller, lower priced product. It’s the most flexible low cost MIDI controller available, and can do more than many of the higher priced controllers on the market! The Mastermind LT’s small size makes it ideal for inclusion on pedalboards – use it to control your Strymon and Eventide pedals, for example. 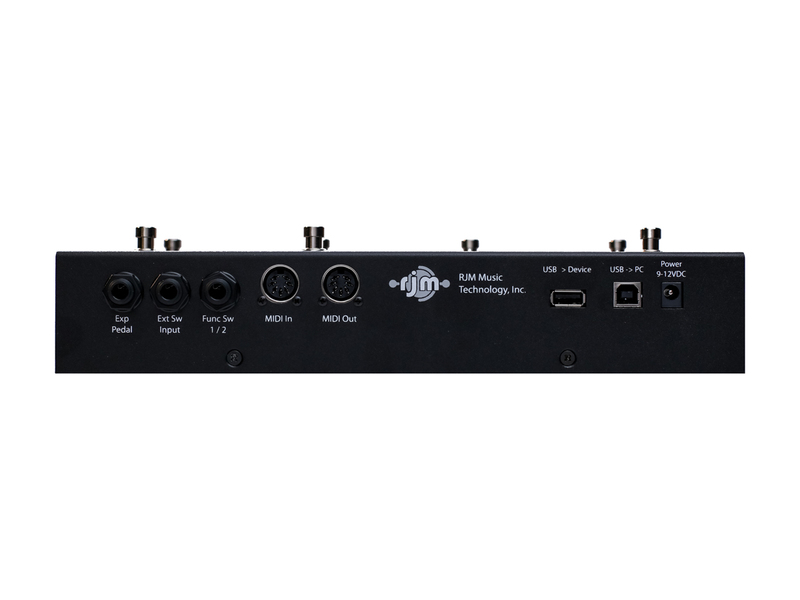 Or, use it as a controller for your music software – the Mastermind LT plugs directly into a PC or Mac’s USB port and will appear as a MIDI device in all of your MIDI capable apps. 16 button pages that can be set up to perform different functions, control multiple devices, etc. The Mastermind LT is the most affordable midi controller made by RJM, but don’t let that fool you. It has all of the MIDI capabilities of its larger siblings. You can build 768 presets, 1008 songs, and 64 setlists with the LT all while controlling up to 16 different midi devices. How is the Mastermind LT different from the Mastermind PBC or Mastermind GT? It retains all of the programmability and functionality of the PBC and GT series controllers, in a smaller, more pedalboard friendly size. It also only requires 9-12 VDC @ 150mA, so you can power it with almost any power supply!! Also, when connected to a computer, it will power itself from the USB connection. How complicated is the Mastermind LT to set up on my own? The Mastermind LT is extremely easy to program. The work has all been done for you. Simply select to the device you want to control and then select “assign default buttons”. The Mastermind LT is also 100% user customizable. You can program any button to control whatever you want. Simply put, you can make changes on either the device itself or in the editor, without having to have the LT in front of you. Just connect your device to your computer with a USB cable and write the changes you’ve made. You can also import changes made on the LT into the editor and save them. The Mastermind LT comes with a software editor, (Mac and PC). You can find the link to download the editor you need in the buttons above. Is the Mastermind LT compatible with my _______ ? 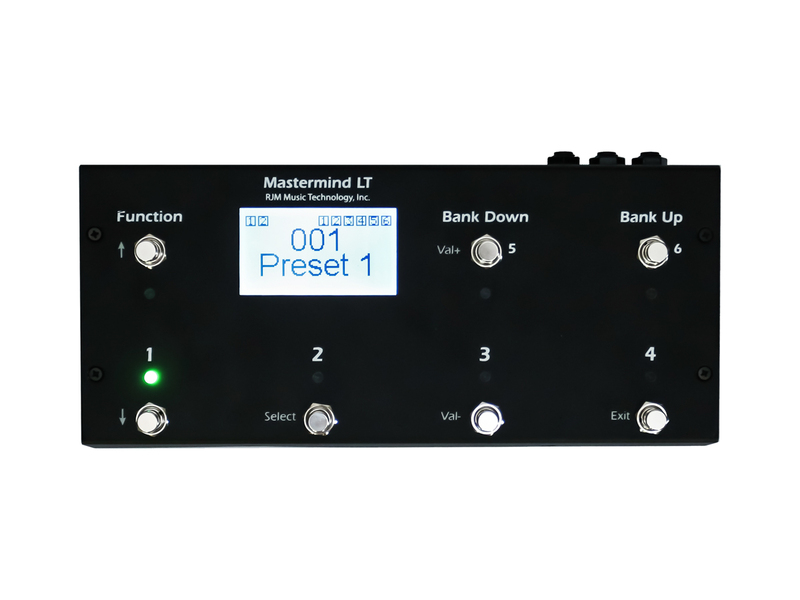 Visit our online store to order your Mastermind LT today!